Comets to finish off Doris’ Day. 23rd February 2017. After a day of storm Doris battering the country, it cleared to a reasonable evening. 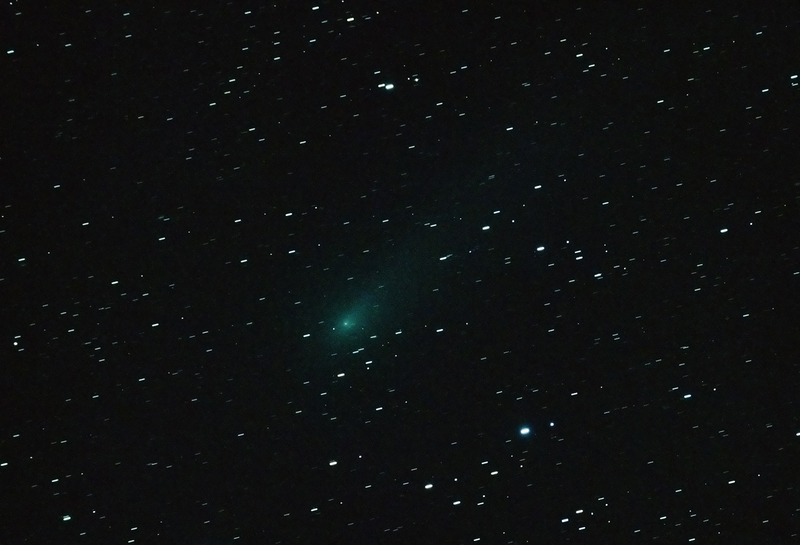 I got out ready for Comet 5P Encke, but by the time the clouds cleared, it was far too low in the western sky. Once properly clear, I slewed the scope over to capture P45 Honda-Mrkos-Pajduáková. It was in the constellation of Coma Berenices and heading towards Leo. It is huge! I had to use my 80mm refractor to get most of it in. I then went across to Comet C/2015 V2 Johnson. 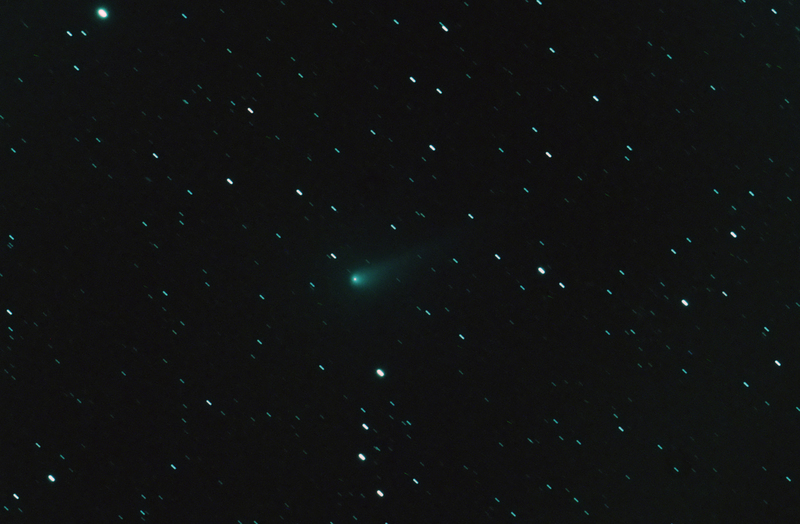 This is a much smaller compact comet, with a slightly curved tail. This cropped image was taken using the 190 Mak-Newt.